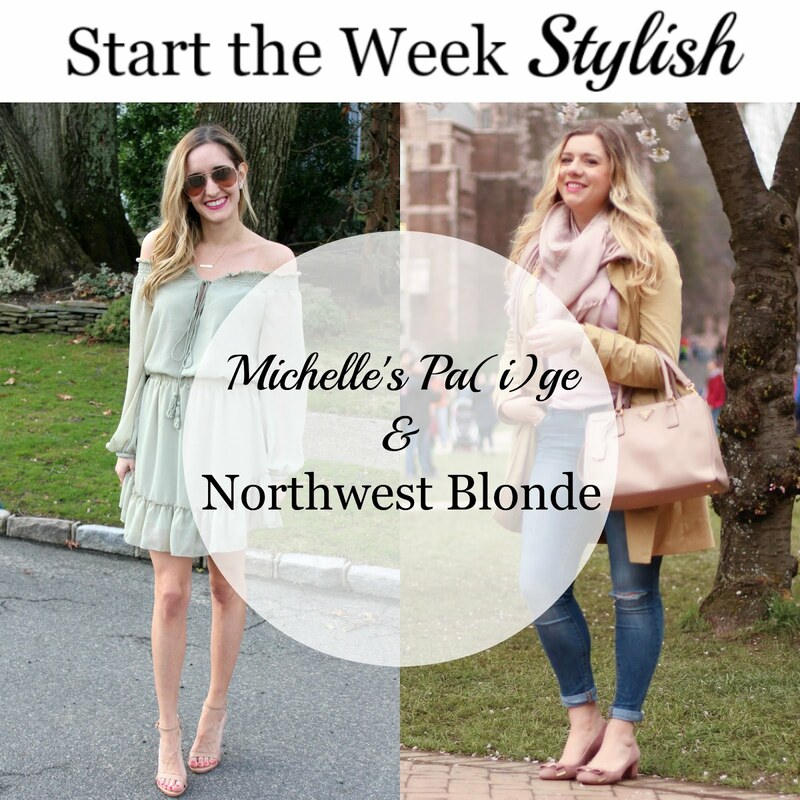 Say hello to our guest host for this week's Start The Week Stylish link up: Ruth from My Little Nest! 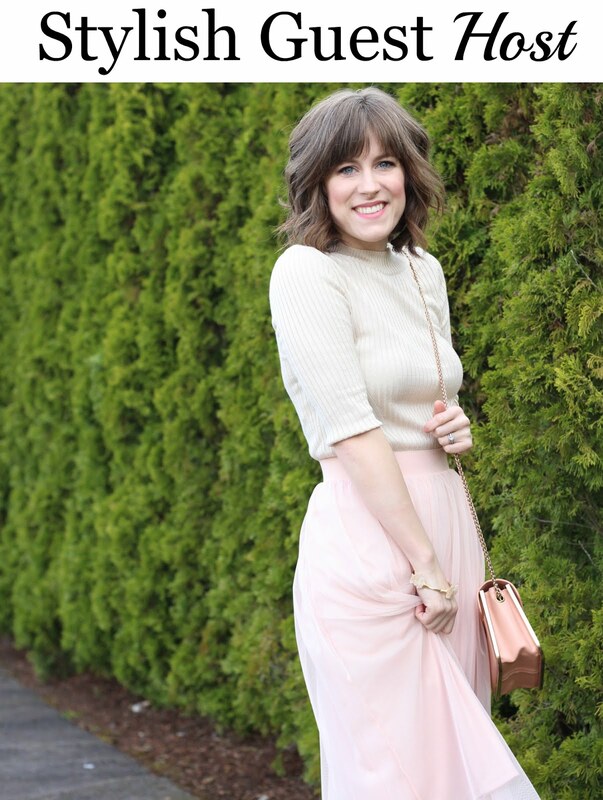 Ruth is a fashion blogger & stay at home mama from the Pacific Northwest! By sure to stop by her blog this week & say hello! 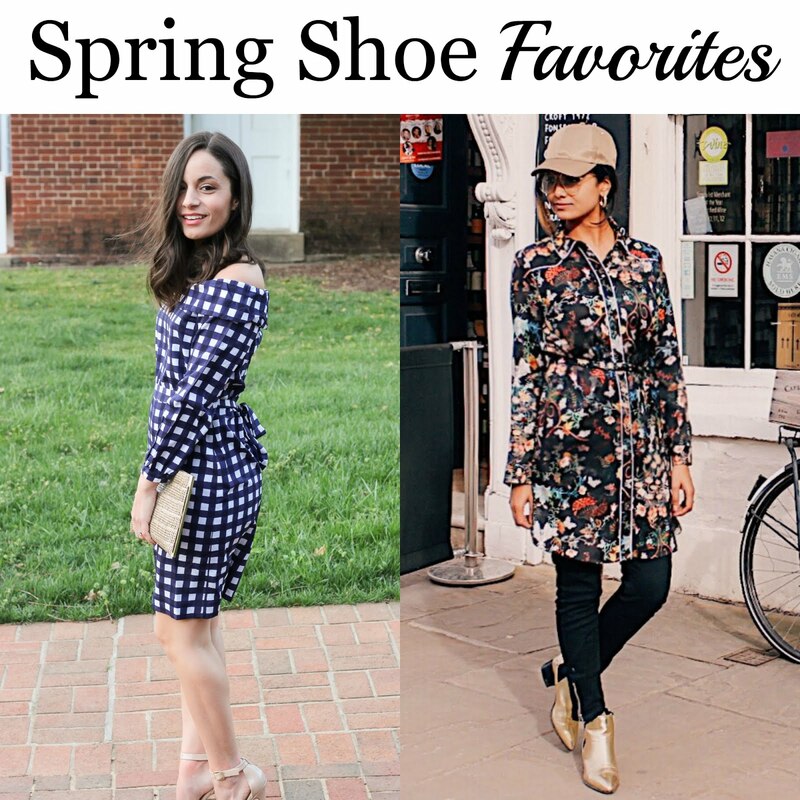 Last week we loved how ChiChi from The Style Tune & Brooke from Pumps & Push Ups wore their spring shoe styles. Loved your look from last week. Too cute! This dress is perfect for spring, Michelle! It sounds tricky, but it worked out great & was a fun day! Love this color green! The surprise wedding sounds so fun/interesting! Such a soft and pretty look! It looks great contrasted with the denim jacket! Sounds like a great weekend away from home. The shoes are awesome! Omg a surprise wedding! I was in NYC this weekend for the quickest trip ever. Your dress is SO PERFECT. I can't believe the price! Ah! What fun! We got great weather in NY on Sunday! Love it - the color of this dress is an awesome neutral!! Such a pretty dress on you! Love that color. Mint green dress is cool. Love it. Yes - I am definitely going to get a lot of use out of this dress! I am heading on vacation next week & definitely plan to bring it with me! Love the look. Great combo. Awwww a surprise wedding? So fun! I love the gorgeous dress and that shade is beautiful on you! I am obsessed with this dress! I love all the feminine details. The color is so pretty! Obsessing over this dress!!! Has so many amazing trends (off-the-shoulder, ruffles, tassels) in one piece but it all works together seamlessly! Beautiful outfit from head-to-toe! This dress is so perfect for a warm summer day or the beach! That dress is gorgeous! I love the ruffles! You look so stunning babe in this outfit…!! just fab. I love your dress! You perfectly styled it with that denim jacket! Beautiful! Amazing dress dear! Looks perfect! I love this dress and it looks beautiful on you! Sounds like such a fun weekend!! Love this dress! The minty color and soft ruffles, just gorgeous! This little spring dress is so pretty- I love the ruffles! Such a simple and elegant look! The mint green is beautifully subtle and perfect for the warmer months!